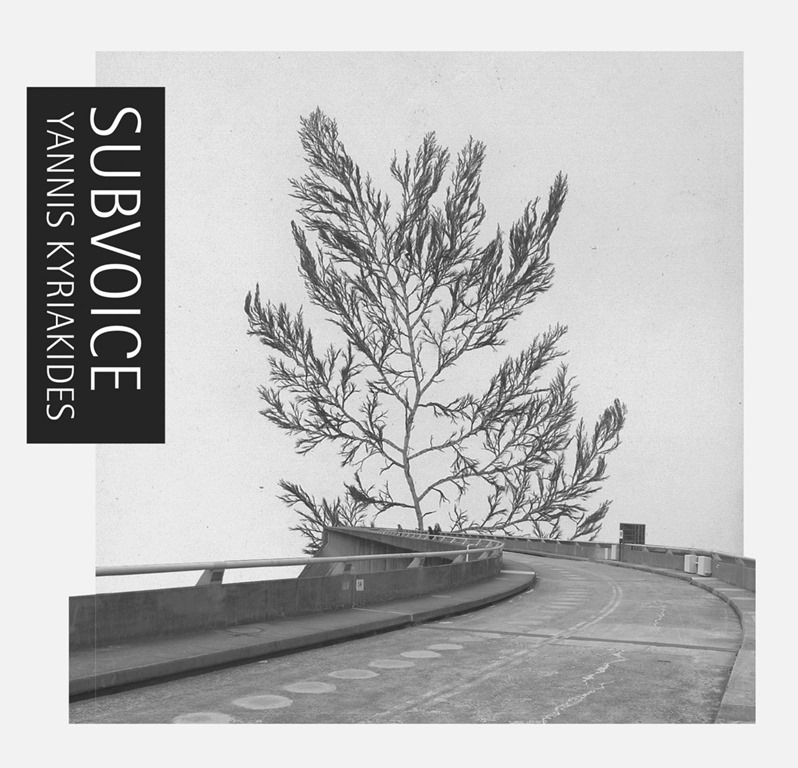 Unsounds have a history of releasing magnificently-packaged albums, and Subvoice by Yannis Kyriakides is up there with the best of them. The double CD is housed in a chunky hardcover book binding, which contains an actual book, some forty pages in span. My introduction to the concept of the subvoice came via William Burroughs, who, around the time he was exploring the myriad potentials of the cut-up technique, made innumerable audio experiments. While most of these involved tape splicing, dropping in and cutting out, some investigated the subvoice in a most literal fashion. Some of these barely audible and even more barely listenable recordings appeared on Nothing Here Now But the Recrdings on Industrial records, with the liner notes describing ‘Throat Microphone Experiment’ – if memory serves – as a not entirely successful attempt to capture subvocal speech. The definition of ‘subvocal’ is ‘relating to or denoting an unarticulated level of speech comparable to thought’. Kyriakides describes the works in the collection as ‘an investigation into ideas of voice and language [which] range from works in which text is directly encoded into music… to ones in which the voice is examined, dissected and pulled apart’. He explains that ‘in both approaches the underlying idea is to explore what happens when material has a clear semantic form, whether communicated in text or speech, is translated into musical structure’. While thematically and theoretically linked, the nine pieces – which have a combined running time of almost two and a half hours – are from quite distinct and separate collaborative projects Kyriakides was involved in between 2010 and 2015. The first piece on disc one, ‘Words and Song Without Words’ is the shortest work, being a couple of seconds under ten minutes, but appropriately introduces the kind of sonic palette Kyriakides and his collaborators – in this instance, Francesco Dillon, who contributes cello – work from. ‘Paramyth’ is eerie, disconsolate, the cracked ramblings splayed in all directions over tense piano and uncomfortable strings, but ultimately peters out into something softer. Skittering strings scurry busily in brief and disjointed flurries, hectically flying here and there, on ‘Toponymy’. Muffed voices bring a discomforting sense of the unheimlich, a sense of the intangible and of something just out of the reach of understanding. Ominous notes hover and ring on the last piece on the first disc, ‘Circadian Surveillance,’ a twenty-five minute exercise in haunting atmospherics, where distant voices are barely audible under a rumble of turning static and hovering notes which resonate into dead air. Onto disc two, ‘Der Komponist’ – a composition for orchestra and computer – begins quietly, ominously, with protracted near-silences between delicate, low, slow builds, before horns begin to add cinematic drama. It’s very filmic, very – for wont of a better word – soundtracky, and is reminiscent of some of JG Thirlwell’s more recent orchestral works. The climax is a slow, swelling succession of surging brass, underscored by a rippling digital churn. ‘Politicus (Dawn in the Giardini’ is perhaps the lightest and most playful composition of the nine, and utilises the variability and versatility of the prepared disklavier. The original work was a twelve-hour sound installation. The booklet explains the technical aspects in great detail, and Kyriakides outlines the way in which algorithms based on speech drive the formulation of the piece, here in an abridged fourteen-minute segment. The immense complexities behind the composition are completely hidden from the listener, with the surface completely masking the mechanical depths.